AFR’s 345cc Competition Ready Welterweight! If huge horsepower is what you are searching for, the 345 can certainly deliver. 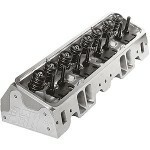 These cyilnder heads were targeted at larger cubic inch engines, 509-632ci, looking for maximum horsepower and rpm capability with a primary operating range of 3500-8000 rpm’s (This range is an average and will vary with engine displacement and component selection). As well, these aluminum heads provide impressive torque figures at higher rpm levels, so higher reving 450+ cubic inches can benefit from the efficient runner. 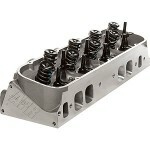 Blown, turbo, and nitrous engines will especially like the larger, higher flowing intake ports. AFR BBC 345cc cylinder heads will work best with camshafts around the .750+ gross valve lift mark to make better use of the substantial airflow found in the higher lift range. The 345cc come standard with AFR’s trademark .750” (3/4”) thick cylinder head deck, reinforced rocker stud bosses, premium one-piece stainless steel 2.300” intake valves and 1.880” exhaust valves. 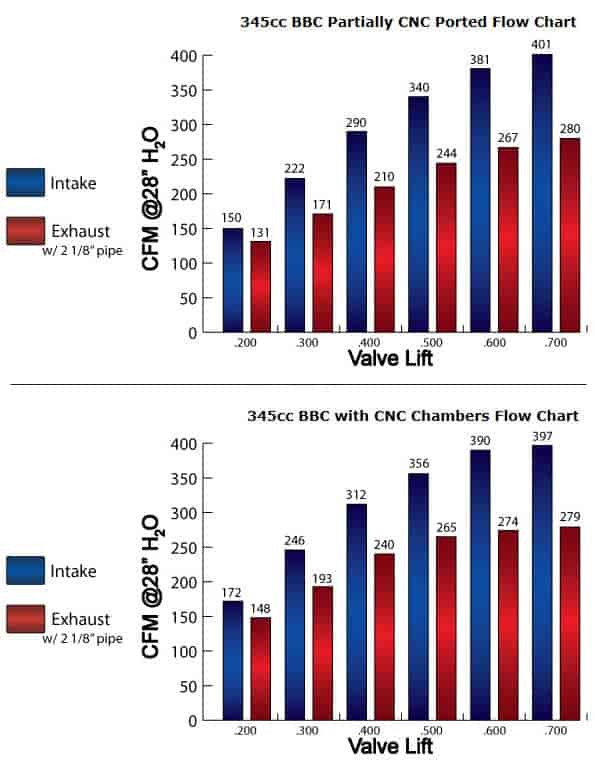 Combustion chamber volume is 117cc or 121cc and can be milled as lower if necessary. Take note the higher flowing exhaust ports and bolt pattern are raised .375” (3/8”) over stock location, this rarely affects header or chassis fitment. Made in USA.